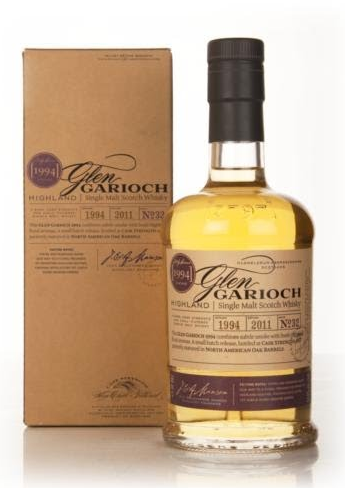 This distillery bottling from Glen Garioch’s Vintage series comes from North American oak barrels. After I had a lid on my glass for a couple of minutes, the vanilla sweetness is overwhelming in the smell. If you just keep your distance to the glass the high ABV is no problem and you just get all the good flavors. Marzipan, nuts, light oak and some peat or hay in the end. It got this farmer character to the taste, yet creamy. Very lovely. Barley, grass, hay and vanilla. The finish is just long and warm. Some spices appear. The black pepper accompanies the farmer character great. This is good Glen Garioch indeed, and for the price, it is brilliant! Finish this off by giving it some water! Then you got a more calm and much more mellow dram to finish the evening! Perfect nightcap! I will rate this 88/100 (21/22/23/22).